VATICAN CITY (CNS) — Pope Francis erected a new Syro-Malankara eparchy for the United States and Canada. The pope also named Bishop Thomas Eusebios Naickamparambil, who served as the apostolic exarch for Syro-Malankaran Catholics in the United States, as its first bishop. The new diocese is called the Eparchy of St. Mary, Queen of Peace, and will be based out of Elmont, New York, in the Latin-rite Diocese of Rockville Centre, at St. Vincent de Paul Malankara Catholic Cathedral. In its announcement Jan. 4, the Vatican noted the presence of 11,500 Syro-Malankaran Catholics in the United States, particularly in Illinois, Texas, Michigan, Florida, New York and Washington, D.C. The eparchy includes 19 parishes and missions as well as three women’s religious institutes situated in 10 convents in the two countries. There are 17 priests assigned within the eparchy, and another 16 Syro-Malankaran priests ministering in Latin-rite dioceses. The U.S. communities were formally organized as missions in 1984, according to a 2014 decree on governance issued by Bishop Naickamparambil. St. John Paul II appointed the first apostolic visitator to U.S. Syro-Malankaran Catholics in 2001. Born in Mylapra, India, June 6, 1961, Bishop Naickamparambil was ordained in 1986. He worked in several parishes in India as well as a professor and dean of philosophy at St. Mary’s Malankara Major Seminary in Kerala, India. In 2010, he was named titular bishop of Lares and the first apostolic exarch of Syro-Malankaran Catholics in the United States. 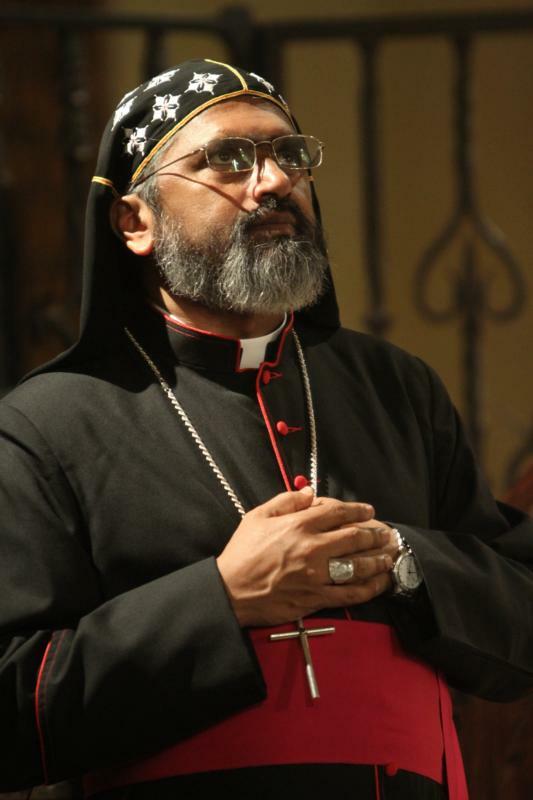 He also served as an apostolic visitor for Syro-Malankaran Catholics in Canada and Europe prior to his elevation. Bishop Naickamparambil is a member of the U.S. bishops’ Committee for the Protection of Children and Young People and the Subcommittee for Asian and Pacific Island Affairs. The Syro-Malankara rite was established in India. Indian Catholics hold that St. Thomas journeyed to India to spread the Gospel, although no definitive evidence has been found to verify that. It is one of 22 Eastern churches in communion with Rome. Its headquarters is in Thiruvananthapuram, India.